Hello, I am still alive. I’ve been busy with my side job but I’ve been making a few things so here is one of them. 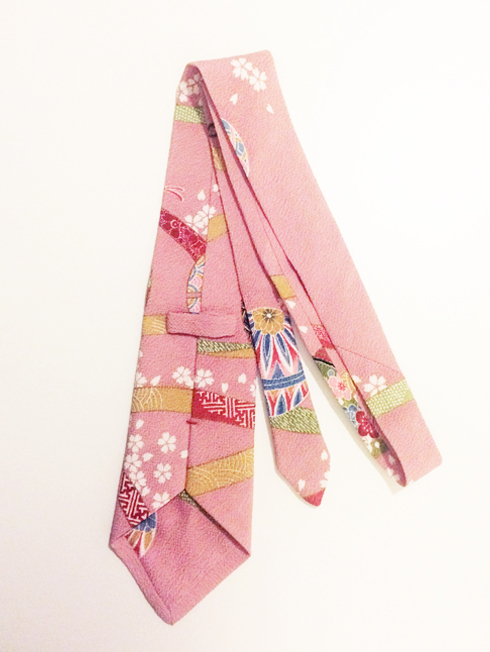 It is a tie I’ve made for an actor friend as a birthday present. 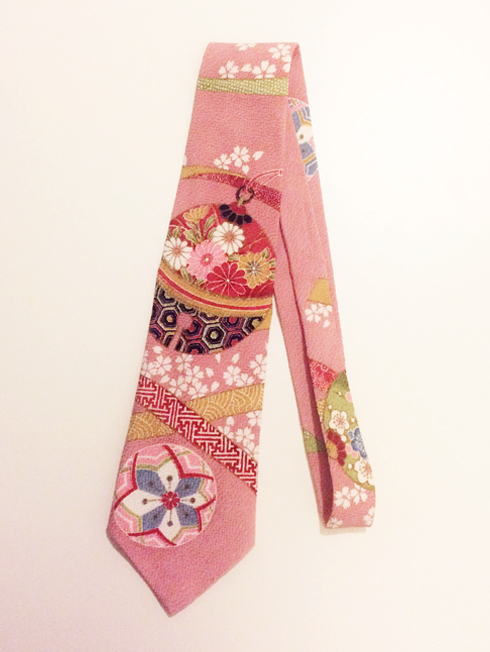 Most of the things I make are girlie so it’s a bit hard when I try to make something for men but luckily, my friend is a fashion monster. 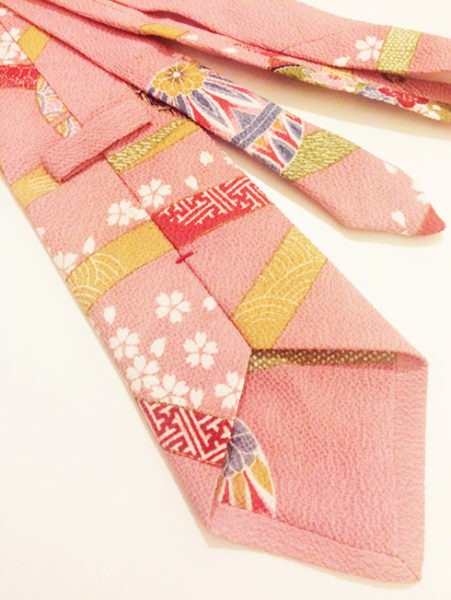 He can pull off this pink tie made from Japanese fabric with no problem. The fabric was something given by a relative and it was about 1m x 1m. 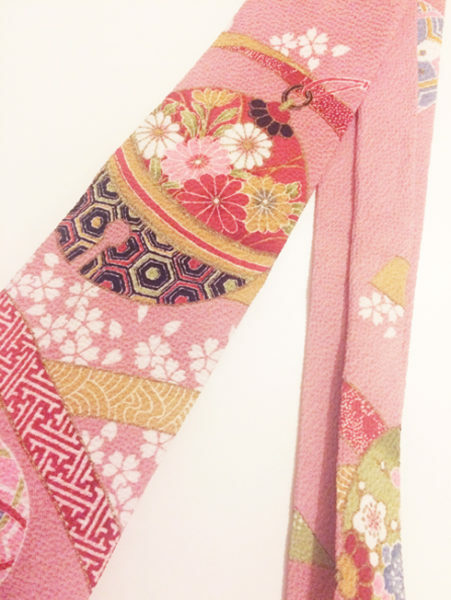 I had it for years because I don’t use any Japanese fabric in my own work. I am glad I’ve finally made use of it and turned it into a great looking tie. 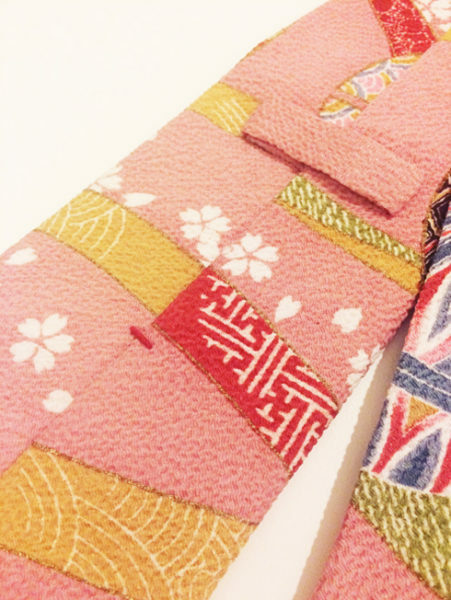 The same fabric is used for the lining and the keeper loop. Bullion knots in red are stitched at the back of the tie near both ends.